Stage fright or public speaking is one of our biggest fears in America. Most people are probably afraid to stand up and speak in front of an audience. According to a study published by Chapman University , Public Speaking ranks in the middle of the list of America’s Top 100 Fears. Ranking slight less than dying and more than walking alone at night. Add that to the responsibilities of funding your startup — your baby — and having to pitch a presentation about it, has to be one of the scariest thing you do as a Founder. And all of that is how we feel before we’re even to the point of public pitching. During our actual pitch presentation, we have the added fear of freezing on stage, forgetting our topic or next sentence, and just in general looking like a buffoon. Stage fright: that extremely nerve wracking thing that happens to people while presenting on stage or anticipating being on stage. Being in the throws of stage fright while presenting can be crippling and cause you to freeze, panic, or just give up entirely on your presentation. All of us have experienced stage fright, either by watching somebody have it or experiencing this fear and freezing up on stage ourselves. When you stand up in public to speak or pitch, most of us experience an adrenaline rush and increased emotions in those first moments. Operating while your defenses are at Defcon 1 is extremely challenging and it’s hard to overcome the internal struggle that happens between your “Flight” impulses and your drive to get your message across. Despite the tendency to resist public speaking, we have so many opportunities to speak that we should take. Whether it’s pitching to investors, presenting to potential clients, or making the best man speech at your brothers wedding… it’ll all go a lot smoother if you ditch the nerves and are prepared & confident. Our goal with this article is to help you prevent freezing up while on stage. Knowing what to expect and how to relax are the keys to mastering your energy and getting the pitch under control. Much of stage fright and freezing comes from being stuck inside our heads and thinking about how bad we look, how scary being on stage is, or what people are thinking of us. Our reactions and nerves set in… and we start to freeze up, literally. It would be easier to overcome if we could just walk off stage and out of the building. But remember, your audience is there for you! They want to see you succeed and hear your presentation. One of the things you can do to settle your nerves is to think about your audience. Boost yourself up for them! They came to see you for a reason. Whether it be your name or your topic, they chose to allocate time for your presentation. So focus on your topic and WHY you are speaking to them about this specifically today. What can you tell them today that they will appreciate when they walk out the door. If you focus on this instead of letting your mind wander to your fears, hopefully your nerves will settle down. Most importantly, feel confident. If you are confident in yourself and your topic/business, the words should easily flow for you. You should be so passionate about your business or topic and know your information very intently. Get excited to share this with your audience! Make it fun and exciting. Your audience took the time out of their schedule and come and listen to you speak about a pre-set topic. They are there for valuable information that they can take and implement into their own professional lives. Put yourselves in the attendee chair looking on stage… what would you want to hear today? Don’t focus soo much on memorizing your lines but on understanding your lines. Because then you clearly understand your topic and could speak to anyone about it in a normal manner. Not a monotoned speech. Don’t let your audience snooze off – make your speech a positive experience by providing valuable information that stimulates their mind. Knowledge that they can use and also pass along to others too. Practice techniques that help you calm your nerves while your on stage. There are many different suggestions that could help to steer our mind away from our fears such as deep breaths, fidget spinners, meditation, or listening to music. Whichever method works for you, use it, and stay focused. With the exception a few select audience members at a standup comedy club, your audience is not sitting there thinking “Mess up. Yeah. Ha ha ha.” Even the majority of the comic’s audience is rooting for them to pull it off and make them laugh – not fail. 99% of your audience is hoping you can give them what they came for and anything that gets in the way, including your own emotions, is just as much a problem for them as it is for you. Instead of wanting you to fail, your audience actually wants the exact opposite. As you start to clam up they think something like the following, “Please, remember your line. Keep going. I don’t want you to feel like that. I don’t want you to feel that fear. You can do it.” They are literally silently rooting for you. And they most likely fear public speaking too, remember. So next time you’re on stage and you’re getting a little bit tripped up, just breathe for a second, just pause. There’s no reason to talk and use up the entire space that you’re speaking. Just give it a pause. Don’t be fearful of pausing. Don’t spend the time in that pause thinking about how you don’t have anything to say right now. Instead think about what am I really trying to convey to my audience, really get that flow back. Go back to thinking about your audience in those time, and know that they’re rooting for you. They’re not hoping that you fail, or that you mess up, or you don’t know what you’re going to say next. They’re hoping that you keep going and then keep giving them the value that they came to see. The fourth and most important way to use to combat stage fright is to practice. It’s most important because you can control practicing more than all the other tactics we’ve presented. If practice is done correctly and enough, the other tactics will also be more effective. Make sure you practice in front of the kind of audience that you’re going to be pitching or presenting in front of. You want to make sure you get as close to the real-life situation as possible and really get those nerves flowing and present through it. Make sure that you practice in a situation that gets your adrenaline pumping so you can figure out how to maneuver around this and still be successful. So practice, practice, practice. It’s super, super important.  We beat the Practice Drum a lot here at Pitch Deck Fire, but it’s essential to your success. Make sure you practice. It’s going to be your best way to prevent stage fright. We hope this article helps you guys to not freeze the next time you’re on stage. If you have any thoughts on stage fright, freezing on stage, maybe give us a little story of the time you froze, maybe how you got through it. We’d love to hear about it in the comments below. If you have any ideas for upcoming topics we’d love to hear about it as well. There’s a link down below. Just submit your ideas for next week. Hope to hear from you guys, tune in on that. Thank you so much for reading.